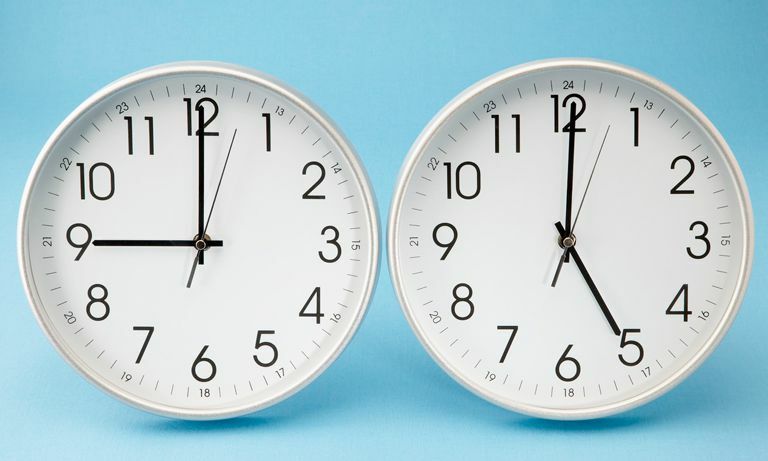 Should You Feel Guilty For Leaving Work on Time? - Datum ClearMind s.b. You are here: Home / Blog / Events / Should You Feel Guilty For Leaving Work on Time? Should You Feel Guilty For Leaving Work on Time? You glance at the clock and it shows 4:55 PM. You already finished your work and started to tidy up your work desk and shut your computer off. It hits 5:05 PM and you’re finally ready for going home and return into your normal life once again. But then you pause. You look around and see people still hard at work, typing furiously, on phone calls, and basically looking very busy and important. You feel like you’re ditching the office and leaving other people to do work that needs to be done. Working extra hours during peak periods or hectic weeks is unavoidable. But if employees are regularly staying back just to get through ‘business as usual’, this should be identified as a workload or workplace culture issue that needs to be sorted out. We shouldn’t be creating a show of working overtime and filling our after-work hours with stuff we could easily do tomorrow between the hours of nine ’till five. We shouldn’t feel guilty for leaving work at the time when your contract says you can. Alternatively, being a workaholic doesn’t necessarily mean you’re the best worker bee out there, it simply means you may have a problem with separating work from your personal life. Leaving on time doesn’t mean you’re not dedicated to your job, you’re lazy, or you hate everyone in your office and can’t wait to get away from them. It means you’ve got a life outside of work. And considering that stress rates are higher than ever, that’s a very important thing. You cannot be the best possible version of yourself – and, therefore, the best possible worker you can be – if you aren’t taking proper time away from your desk. We’re supposed to leave work on time so that we can go home, eat, exercise, relax and spend time with our family. Because we’re not supposed to be all-work machines. We’re people, and part of our human needs is having time that doesn’t belong to the people and places we work for. We need that for our body and mental health. We need it so we can maintain relationships, and have interests other than the work, and so we can look after ourselves. And to sustain that, we need to leave work on time. The only way to make leaving work on time stop feeling weird? To start leaving work on time. You need to remind yourself that it’s more important to work better than to work longer. You need to remember that there’s no way you can be creative, great at solving problems, and generally brilliant if you’re overworked and tired. Adopting a healthy work-life balance enhances productivity and an overall positive experience in the workplace. When your mind, body, and spirit are well rested you are more likely to perform better and deal with stressful situations in a professional and thoughtful manner. And don’t stay late just because you want to be perceived as a hard worker. Mostly everyone sees through that movement. Only stay late if there is a real legitimate work requirement. Remember that if you don’t take conscious control of your own work hours, the work hours can easily take control of you. When you start leaving work on time regularly, working late is no longer an accepted norm. You’ll notice that people aren’t turning to look at you in disgust as you stand up from your desk chair, that no one treats you any different the next day, and that your boss isn’t planning to fire you the next day. Because they know (as you know) that leaving on time should be expected. Work your contract hours and no more, unless the Overtime Fairy comes knocking. https://www.datumcorp.com/f/2018/11/leave-work-on-time.jpg 461 768 Husna https://www.datumcorp.com/f/2013/07/logo1.png Husna2018-11-01 16:46:122018-11-01 16:59:28Should You Feel Guilty For Leaving Work on Time?